Our wide range of custom solutions include online gift card ordering, flexible fulfillment options (we can drop ship gift cards individually or ship them to you in bulk), custom websites, redemption sites, and creative packaging options. There are no minimum orders, no hidden fees, and our turnaround times are exceptionally fast. We'll partner with you to create a seamless program that fits your budget, is easy to administer, and most importantly, will help you achieve your objective. 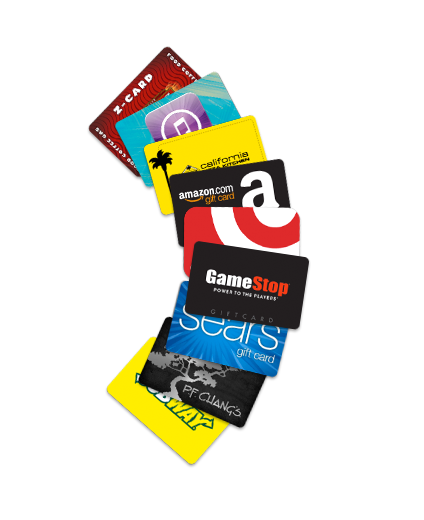 Gift cards rank as the #1 choice people want as a gift. Thirty-seven percent of US consumers either bought or received a gift card last year. Over seventy percent of B2B program managers rank "Ease of Administration" as the number one benfit for using gift cards in their incentive and loyalty programs. Over sixty percent of B2B program manager's state that gift cards have a broad audience appeal. Program managers give gift cards a 4 out of 5 rating for "effectiveness" as a reward option. Over eighty percent of program manger's use gift cards in their rewards/incentive/recognition programs.